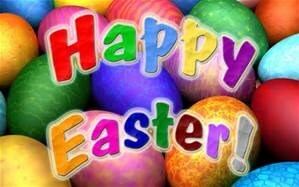 This week our school will celebrate Holy Week as it falls during our school holiday period. This significant week begins with Palm Sunday and ends Easter Sunday. Holy Week includes Holy Thursday and Good Friday, which, together with Holy Saturday, are known as the Triduum (Latin for "Three Days"). During Holy Week, Catholics commemorate the Passion of Christ, who died on Good Friday for the sins of mankind, and rose on Easter Sunday to give new life to all who believe. Thus, while Holy Week is solemn and sorrowful, it also anticipates the joy of Easter through the recognition of God's goodness in sending His Son to die for our salvation. 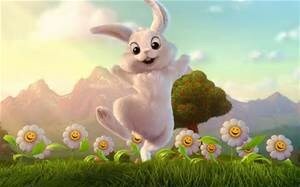 The Christian message of Easter can so easily be hidden by the commercialism of this time of the year. It is important to maintain a perspective of balance and remind ourselves that while we enjoy all the festivities Easter provides, we consider the true meaning of this celebration. The school has endeavoured to offer the students a Catholic perspective through Religious Education programs as well as retelling these events in our Holy Week Prayer Celebrations which have begun today and continue until Friday. Parents are warmly invited to join us in these Prayer Celebrations. 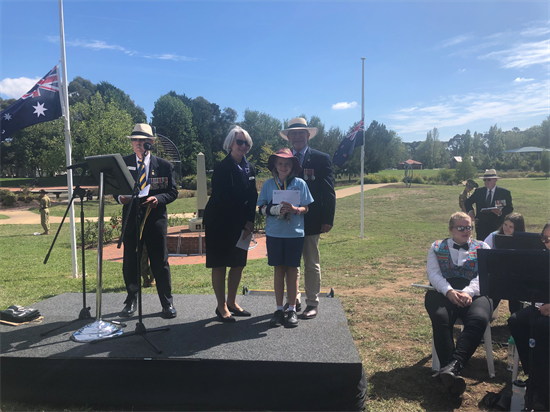 Our 5/6 students entered into the annual RSL ANZAC Day essay contest with this year’s topic being “Australian Heroism in Conflict and War”. I am proud to announce one of our students Alex S from 5/6 White came second overall in a competition that had close to 100 entries. Her essay focused on her Mum’s heroism while her Dad was away at war. Alex will read her essay to the school community at Thursday’s Awards Ceremony. Congratulations, Alex! 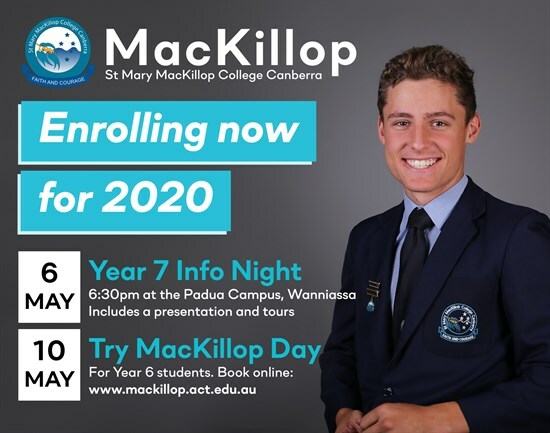 This year Catholic schools formal enrolment period for 2020 is between Monday 6th May and Friday 24th May. We have set our open days in weeks 1 & 2, Thursday 2nd May and Wednesday 8th May between 9 am and 6 pm. Please let friends know of this enrolment period and share your positive experiences of the school with others. You will see our flyers and event notifications on Facebook, please like and share these to spread this information. 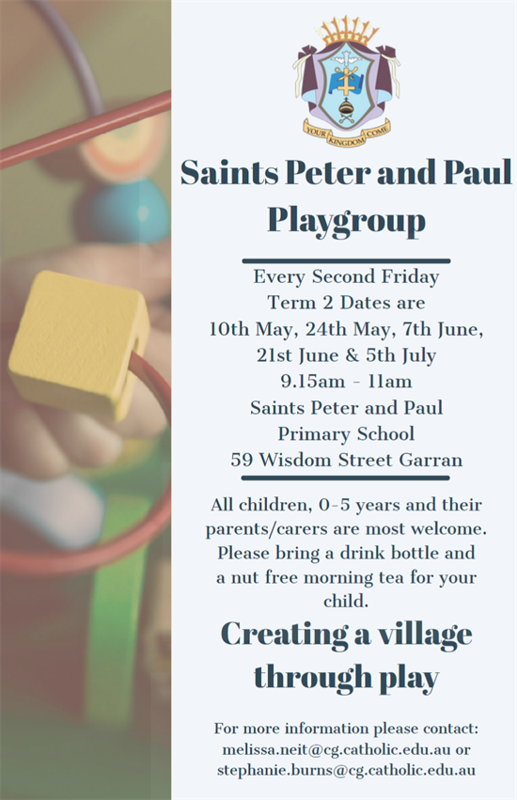 Your feedback is still the defining advertisement for Sts Peter and Paul Primary School and the main reason families want their child to attend this great school. If these dates and times do not work please contact the office to arrange another time to tour our school. We welcome back from long service leave at the beginning of Term 2, Ms Wales who will take over from Ms Linley Ellis. I thank Ms Ellis for providing students in 1W with such a solid start to the year. In Term 2, Mrs Armstrong will continue as Acting Assistant Principal and as such, Mrs Hackwill will continue to replace her in 1M one day a week. Ms Tegan Butler will continue as Acting Coordinator and her Large Class and Coordinator release will still take place on Tuesdays. Thank you to those who have already completed the survey. So far we have 28 responses and whilst this is a good number, it falls short of the 58 responses we had in 2017. Please take the time to complete the survey if you have not already. I will leave the survey open over the holiday period and display some results from the survey early next term. Wishing you a safe, happy and healthy holiday period. 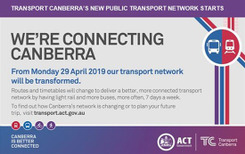 Just a friendly reminder to all parents and students that Transport Canberra’s new public transport network starts on the first day of Term 2, Monday 29 April 2019. For the first time in Canberra, we will see a new integrated network incorporating buses and light rail. Please click on the picture for more information. 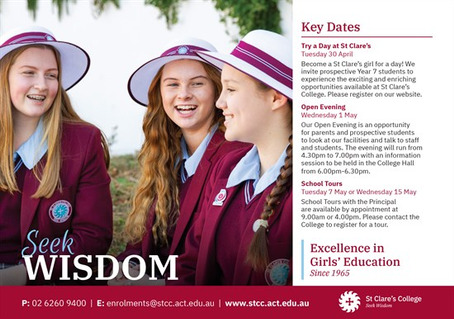 Students can use the TC Journey Planner to plan their trip to and from school. As part of the new network some bus stops will be closed, so please check your options via the journey planner. The journey planner and on line school maps are the easiest and most effective way for students to check the best options for school trips. 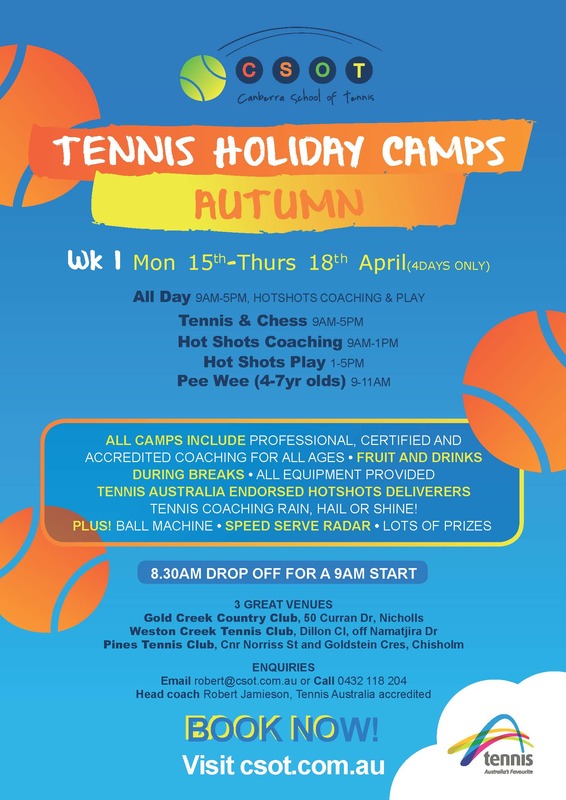 Please click on the picture for more information. Entertainment Books are available from Saints Peter & Paul. Books are available for purchase on-line, using the link below for either the digital or printed book version. The printed version is also available through the Qkr! App and from the Front Office. The book is for use from 1 June 2019 to 31 May 2020. Congratulations to these students who have been chosen to represent South Weston Region at the ACT Swimming Carnival in May. Well done to them and all of our swimmers who represented the school at the Regional Swimming Carnival last Thursday. Please place your orders via Qkr! by 8.45am. 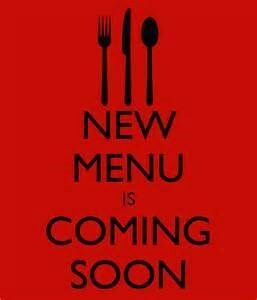 Down the app on your mobile phone or visit the website on https://qkr.mastercard.com Click on this link for the Canteen menu or see the Skoolbag app. Thank you helpers - your assistance is very much appreciated. Please contact me if you are unable to make your shift or if you are able to help in the Canteen. Thank you. The fruit incentive ticket WINNER for last week was Eloise H, 5/6M. Congratulations Eloise, you have won a $2.00 voucher to spend at the Canteen. Please see Mrs R to collect your voucher. Do you want to win a $2 voucher to spend in the Canteen? 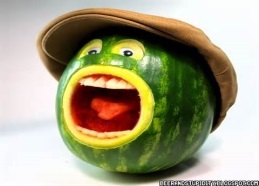 Simply purchase fresh fruit from the canteen and be in the weekly draw to WIN!! Order our special Easter treat for $2.50 containing a fruitless hot cross bun and an Easter egg! The Canteen is open Friday last day of term for LUNCH ORDERS ONLY! There will be no counter sales at lunchtime, however families can purchase items for their child/children on Qkr! and it will be provided to them during their lunch eating time. Thank you helpers, your assistance is very much appreciated. 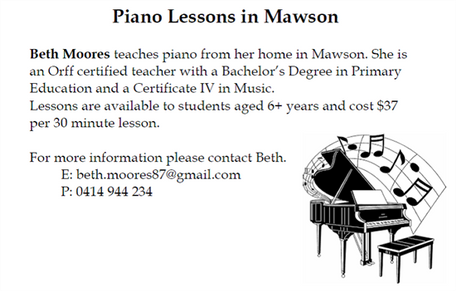 Please contact me on lauretta.raccosta@cg.catholic.edu.au if you are able to help or unable to make your shift. Thank you. The Fruit Incentive ticket winner for last week was Tom B, 3/4B. 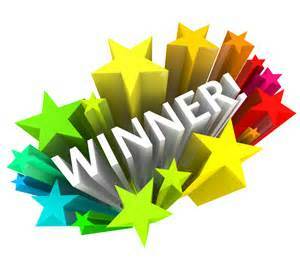 Congratulations Tom, you have won a $2.00 voucher to spend at the canteen. Please see Mrs R at the Canteen to collect your voucher. Do you want to win a $2 voucher to spend at the Canteen? Simply purchase fresh or frozen fruit from the Canteen and be in the weekly draw to WIN! !